FlexAirConnecT™｜Technology & products | Sumitomo Electric Industries, Ltd.
Sumitomo Electric is more than a fiber and optical transceiver vendor. We also have a vertically integrated passive optical interconnects products too! Watch this interview to learn more about our products as well as our latest demonstrations for high density on-board and co-packaged optics. Our ample experiences and knowledge have been giving off various unique optical connectors. 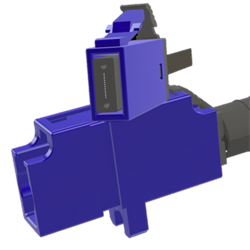 Sumitomo Electric is waiting for everyone who gave up to create the connector as you desire. From Materials to measurement, we have all capabilities in-house to offer the optimal interconnect solution. Total capability in-house and ample field experiences with optical communication offer high-quality but cost-effective solutions.